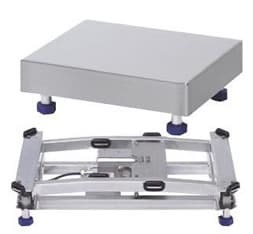 The PBA426/PBA426x fully stainless steel platform is a robust, durable and economical solution for a wide range of weighing tasks with light wash down requirements. This platform series is a perfect fit in many food manufacturing or chemical/pharmaceutical processing applications with a need for durability, uncompromising cleanliness and a good protection against the impact of water (120 min./day), humidity and condensation. The PBA426x series can also be used in hazardous environments. The Mettler Toledo BBA221 is a scale for your daily, simple applications in dry areas, such as your receiving department or warehouse. The terminal with its large display is fast and easy to operate. It can communicate with a PC through its built-in RS232 interface. The scale offers a simple counting function, but it can also be used for over/under check-weighing or classifying. Wheel kit and roller top platters available – with over 21 sizes and varied capacities from 15 to 600 lbs. The PS Scales are ideal for many straight weighing application where only gross weights are required … and where economy or system integration is important. 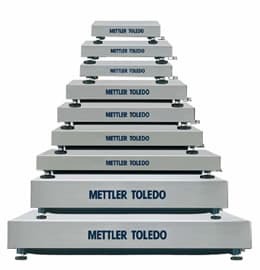 Whether at the receiving or shipping dock; stand alone or computer based; in manufacturing or retail, you will get accurate weighments at an economical price and the durability you expect from Mettler Toledo. Special UPS models for plug n’ play to UPS & Fed Ex Manifest Software. Rugged die cast aluminum base with stainless steel platter. Display can be mounted to base, remotely or column mounted. Platform options-Flat, Ball Top, or Roller Top. Bench scale platforms – Cost/Performance optimized quality solution. PBA220 Scale Platforms-The PBA220 series of scale platforms provides flexible and cost-effective solutions for a wide variety of weighing tasks. 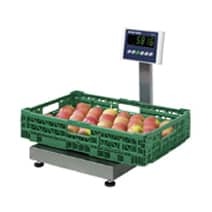 Each platform in the series can be combined with a simple scale terminal for basic weighing tasks, or complemented by a more sophisticated terminal for functions such as check weighing and counting. Mobile for enhanced usability. 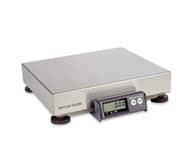 Paired with a portable Mettler Toledo scale terminal, the PBA220 scale base can go where it’s needed, thanks to the carbon steel cart with lockable casters. Innovative construction for uncompromising cleanliness. Demanding weighing processes are performed reliably by the PBA430 and PBA4330x. Easy to clean, these weighing platforms support internal quality management systems in the food, pharmaceutical and chemical industries.The PBA430(x) weighing platforms are manufactured according to the recognized guidelines of the EHEDG1) and NSF1) – ideal for use in critical areas where foods such as meat, fish, poultry, fruits and vegetables are processed or in bakeries. The optional digital balance interface enables connection of the PBA430 line to all terminals with IDNet Interface.